Wonder Woman 1984 isn’t even in theaters yet, but director Patty Jenkins already has a firm idea for the Wonder Woman 3 story. However, unlike the sequel, the third installment will not include Steve Trevor, according to Chris Pine. Whatever Jenkins’ ideas for the third movie are, Steve Trevor won’t be brought back, which many thought would be the case for Wonder Woman 1984 since the character died at the end of the first movie. But he’s back, and he’s wearing a fanny pack. 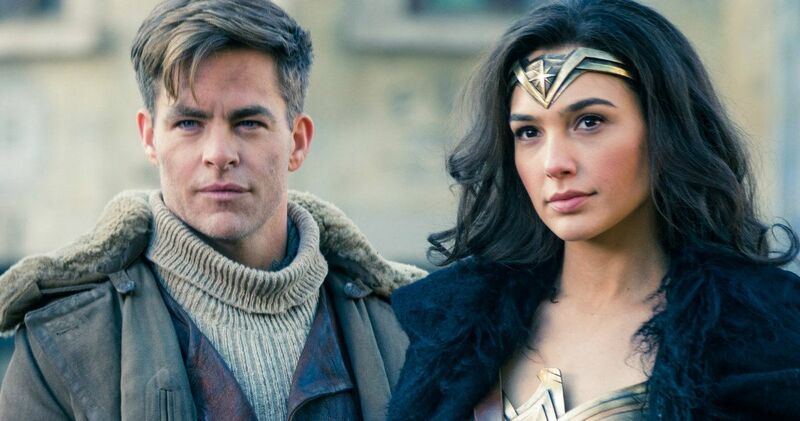 In a new interview, Chris Pine was asked about Wonder Woman 3 and the possible return of Steve Trevor. It should be noted that we still have no idea how Trevor was brought back for the upcoming Wonder Woman 1984. So, if and when the third movie is given the green light, which seems inevitable, we won’t have to worry about the Steve Trevor mystery for a second time. Pine explains. Obviously, Chris Pine could be throwing us off of the trail, but he seems pretty straight with his answer. The actor was asked about Wonder Woman 1984 in a separate interview, but he gave the interviewer the cut sign when he was supposed to answer the question. The actor can barely talk about the sequel because of the mystery. Now that the sequel is over a year away from hitting theaters, Pine and the rest of the cast have an extra-long time to keep the secrets. It’s believed that everybody will have to reconvene for reshoots in the months before the movie hits theaters, so hopefully we’ll have some more information around that time. Wonder Woman 1984 is still shrouded in mystery, but there is more than a few fan theories floating around the internet about how Steve Trevor returns. One of the more popular theories has to do with Pedro Pascal’s character, who is rumored to be DC villain Maxwell Lord, and his quest for god-like power. The theory continues by claiming that Kristen Wiig’s Barbara Minerva ends up transforming into Cheetah after a misadventure and seeks vengeance on Lord. From there, it’s believed that Lord will look to Diana Prince for help and will bring Steve Trevor back to life in return. Obviously, this is just a theory, but it’s certainly an interesting way for Trever to return. While Patty Jenkins has an idea for Wonder Woman 3, the movie will be dependent on the success of Wonder Woman 1984. If the sequel performs like the first installment or brings in Aquaman box office numbers, there will undoubtedly be room for the third movie. Until then, we’ll just have to focus on Wonder Woman 1984 and think about how Chris Pine’s Steve Trevor ends up back with Diana Prince. The new interview with Chris Pine was originally conducted by Entertainment Tonight.